Our love for Greek food in our house doesn't go unnoticed. 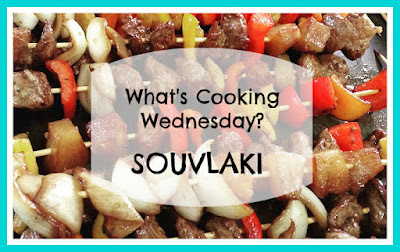 We love to grill up Souvlaki any chance we get. We have been known to even put it into the oven during our long Canadian winter because we just can not go without it for the whole winter. 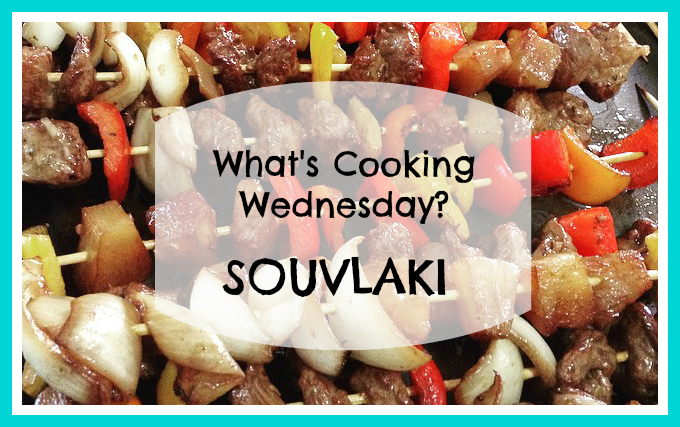 Serving some Souvlaki with some Lime Rice and a Greek Salad is just a perfect combination no matter the time of year. 1. in a large bowl, mix together lemon juice, oil, soya sauce, oregano and garlic, add pork, onions, green peppers and stir to coat. Cover and refrigerate for 2 to 3 hours or overnight. 2. Preheat grill on medium to high heat. Thread pork, peppers, pineapple and onions onto skewers. 3. Cook 10 to 15 minutes or to desired doneness turning skewers once. NOTE- we have also done these in the oven at 325*F and just turn them once they take about 10 to 15 minutes to cook. I know I am not the only one who converts a grilling recipe to one that can be cooked indoors. What is your favourite grilling recipe that you now make without using the grill?